IF induction heat treatment equipment is widely applied in forging, hardening, quenching and annealing field. 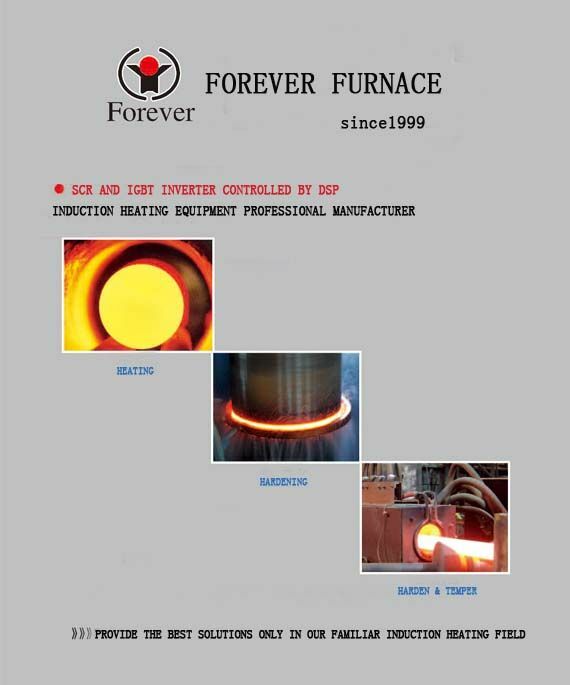 The power of IF heating furnace can be 100-8000KW, which is suitable for round bar,pipe & tube, billet through heating before forging or rolling, especially for large and long bars. IF forging refers to the use of an induction heater to pre-heat metals prior to deformation using a press or hammer. Typically metals are heated to between 1,100 and 1,200 °C (2,010 and 2,190 °F) to increase their malleability and aid flow in the forging die. Precise control provides consistent temperature uniformity and exact repeatability. Forgings have fewer inclusions and improved surface finish because of reduced scale. Induction heats only the workpiece using only the needed energy to achieve the exact temperature. New solid state power supplies seek the best frequency for the load further improving operating flexibility and efficiency. An integral induction heating system increases productivity because it is easily integrated with in-place processes. An induction heater, not the operator, sets the pace for the production rate. 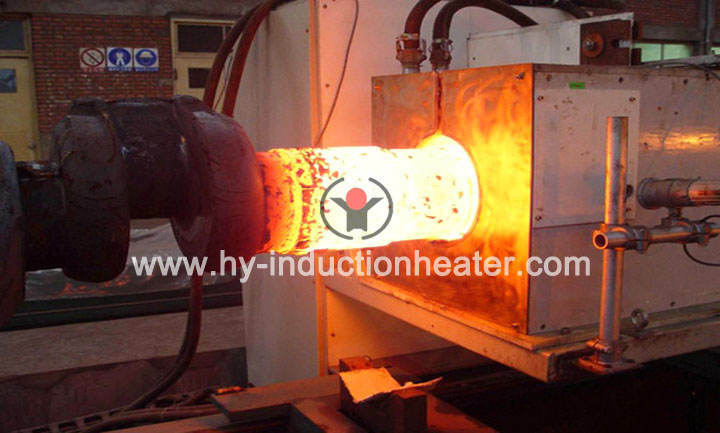 Induction heaters can be started from cold to achieve full production rates within minutes. Heaters are designed for automatic hold cycles during delays and rapid recovery at re-start. Induction heating requires fewer parts in-process which reduces the chance of rescheduling errors and substantially reduces material inventories. Induction heating brings the work piece up to temperature in the shortest possible time and in effect reduces the amount of scale which improves the surface finish of the end product and increases the customer’s tooling life. Typical scale loss in gas fired furnaces is 3% and from induction 0.5%. Consequently, for each ton of forgings the raw steel purchased is reduced by 2.5%.